The practice of using predictive analytics for marketing is becoming much more commonplace, but, in many ways, this field is still immature. Marketers are using analytics to identify new prospects, qualify leads, predict close rates, and optimize pricing, but there are still many ways to refine these methods -- along with many pitfalls to avoid. For instance, with more data becoming publicly available and public data sources continuing to grow in size -- through social media, customer reviews, and government data sets among others -- there is now a vast ocean of potential data to utilize. Sounds like a good thing for marketers, right? Not always. 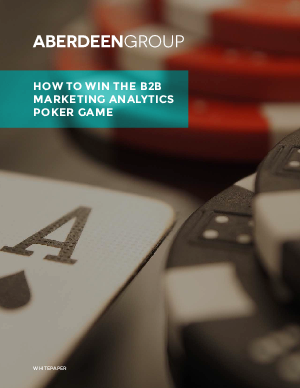 Download this white paper to learn how to win the B2B marketing analytics poker game.